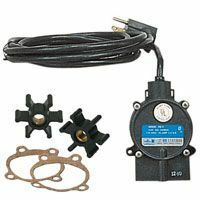 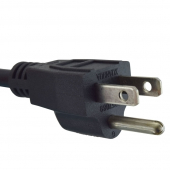 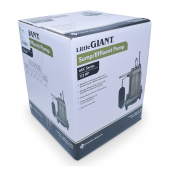 Little Giant 6EC-CIA-SFS (506807) is a 1/3HP dual-purpose Automatic Sump Pump/Effluent Pump with a 10ft power cord and a mechanical float switch. 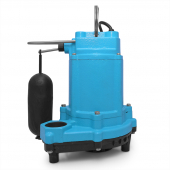 6EC-CIA-SFS model is designed to work in automatic mode only and is capable of handling water, effluent waste, wastewater and small solids up to 1/2" in diameter. 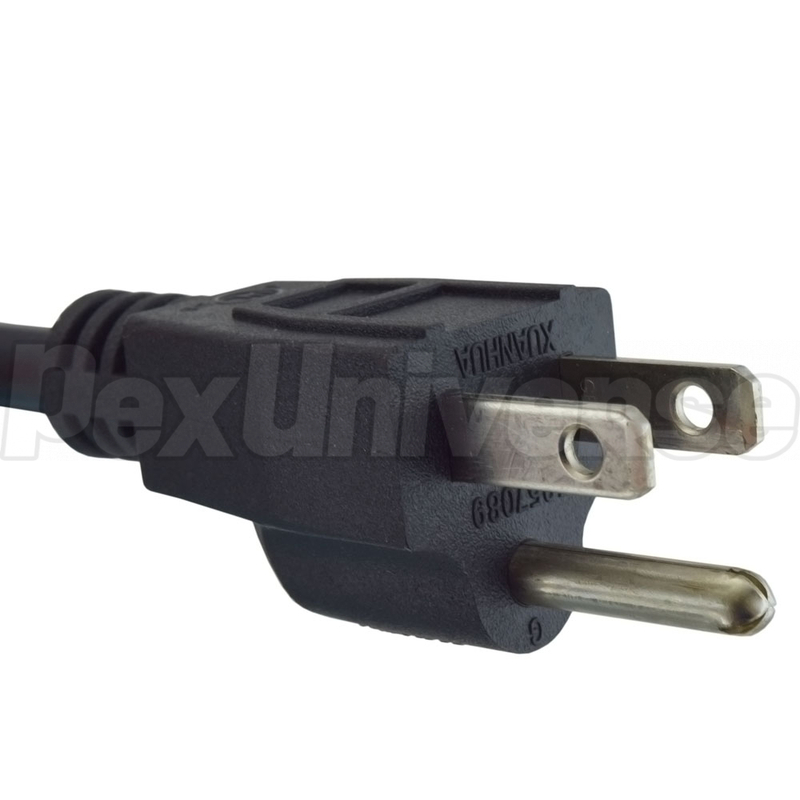 Mechanical float switch on this model will engage the pump once water level reaches 8"-11" and shut down the pump once water level is within 2"-5". 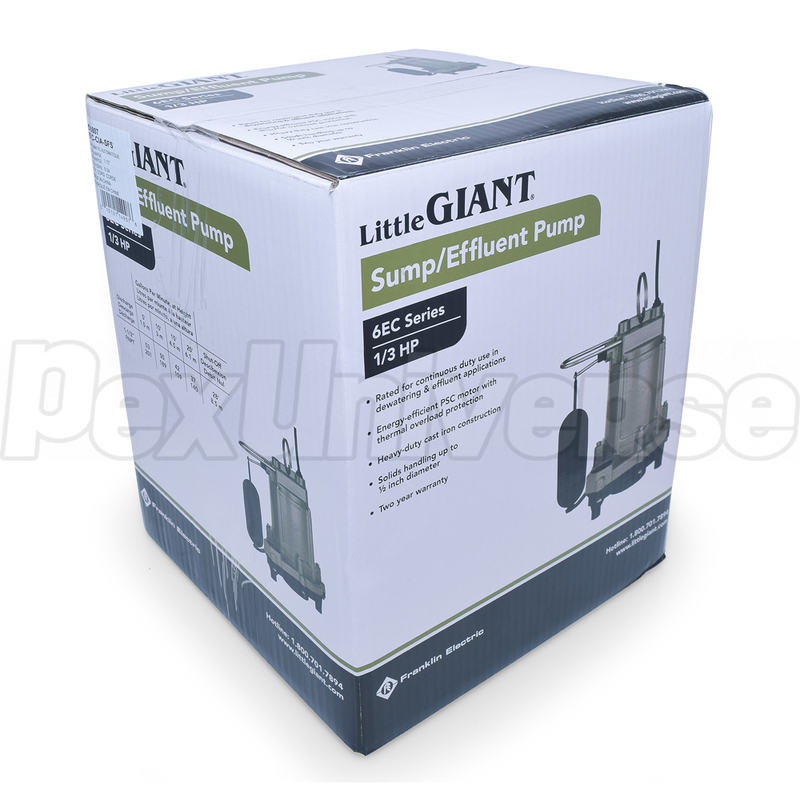 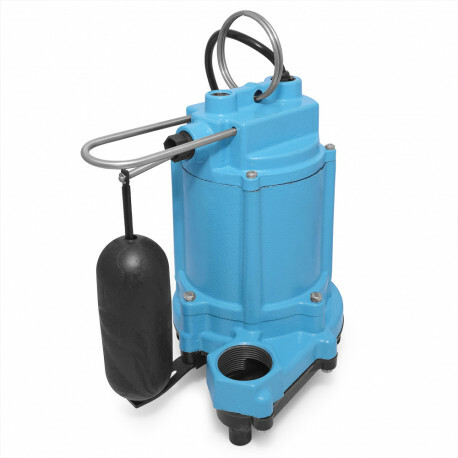 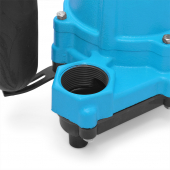 The Little Giant 6EC-CIA-SFS model sump/effluent pump is designed for use both in residential and commercial applications and features a 1-1/2" FNPT discharge with a head capacity of 28ft (of head), polypropylene base, polycarbonate cover, cast iron motor housing, lubricated for life motor and built-in thermal overload protection. 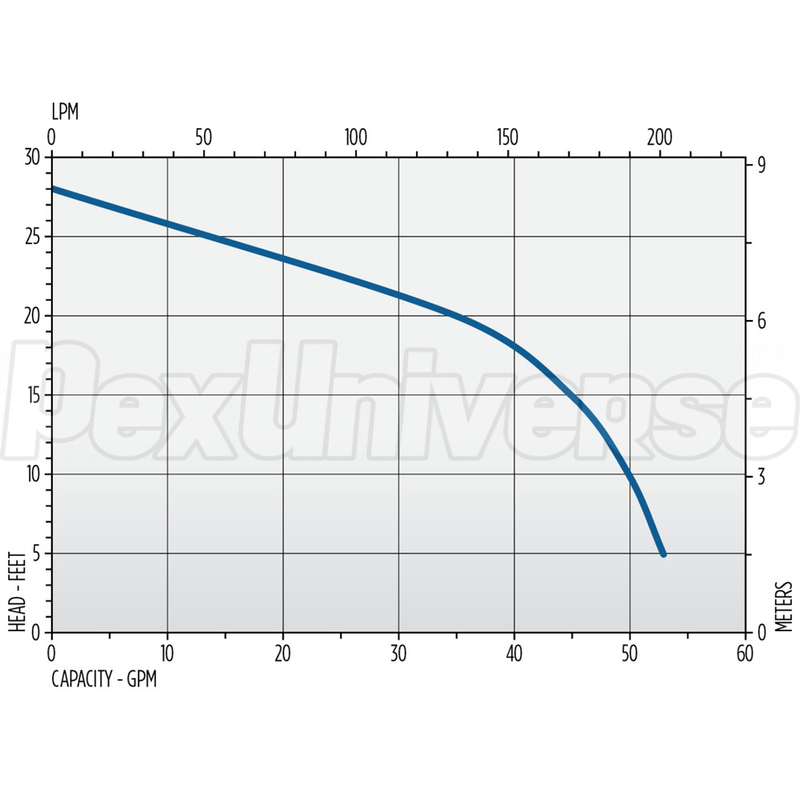 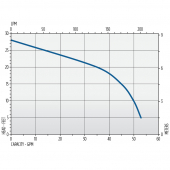 Off Level: 2” – 5”.